The term ‘WHU Ltd’ or ‘us’ or ‘we’ refers to the owner of the website whose registered office is 120 East Reach, Taunton, Somerset TA1 3HL. Our company registration number is 10042808. The term ‘you’ refers to the user or viewer of our website. Content published on this website (including but not limited to digital downloads, images, texts, music, graphics, logos) is the property of Hair Academy South West and/or its content creators and protected by international copyright laws. All such rights are reserved. 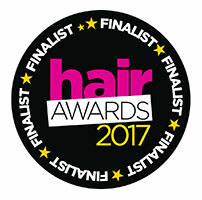 By visiting this website, you agree that the laws of the United Kingdom, without regard to principles of conflict laws, will govern these terms and conditions, or any dispute of any sort that might come between Hair Academy South West and you, or its business partners and associates.